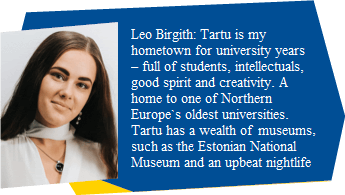 On the way to Tartu, we will visit Lahemaa National Park, which serves as an authentic taster of natural and cultural landscapes in Estonia, Rakvere with its impressive 13th century castle ruins, Peipsi Old Believers villages, Alatskivi Castle. On the way back to Tallinn, you can get familiar with different workshops and activities associated with them such as smithery, handicraft, linen and patchwork. Birgith and her LEO frends invite you to enjoy a relaxing sail on river Emajõgi in a Hanseatic timber vessel Jõmmu together with national songs and delicious home made cookies made by Leos. This trip will be unforgettable – don`t miss it! PACKAGE PRICE FOR 1 PERSON IN TWIN/DOUBLE ROOM 385€. 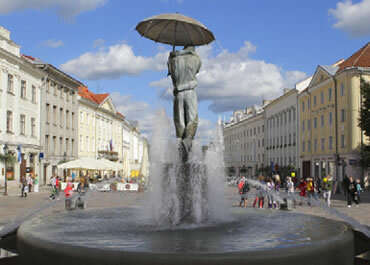 Tartu is 190 km from Tallinn to South-East and the trip is planned for 3 days. Need some more information? Read here! 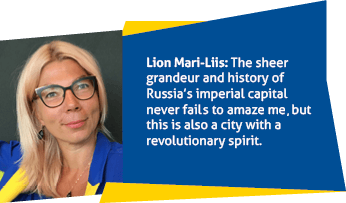 Lion Priit: The trip through Baltics will give you a glimpse of a diverse culture and a great feeling of three nations who live so close, but yet with a different vibe. After enjoying Tallinn during the Forum, I`ll introduce you to stunning Art Noveau City Riga, which is situated at the mouth of river Daugava and has an ancient history and rich cultural heritage. 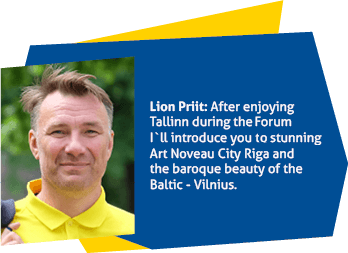 We`ll also visit the baroque beauty of the Baltic, Vilnius, which is a city of immense allure with Europe’s largest baroque old town at its heart. During the 3-day trip you will also explore cities Pärnu, Sigulda, Siauliai and Trakai, visit unforgettable places like ‘God’s Garden’ – Turaida Castle and Lake Galvė, see a sight of 100,000 crosses which is still growing. Don`t miss it! Riga is 311 km from Tallinn, Vilnius 288 km from Riga. The tour starts on 7.October 2019 in Tallinn and ends on 10 October in Vilnius. ST PETERSBURG – CITY OF THE TSARS! IT`S GOING TO BE A DREAM TRIP! COME ON! LET`S HAVE FUN! Created by Peter the Great, St Petersburg was intended from its inception as a display of imperial Russia’s growing status in the world. 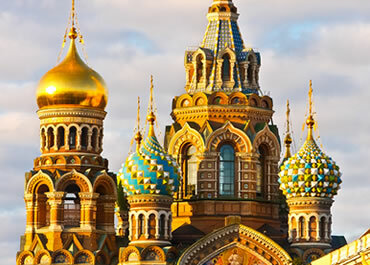 Fine-tuned by Peter’s successors, who employed a host of European architects to add fabulous palaces and cathedrals to the city’s layout, St Petersburg grew to be the Romanovs’ showcase capital and Russia’s first great, modern city. During 3-day tour we will explore the most important sights of St Petersburg, Hermitage, Tsarskoje Selo, Vitebsky railway station, Catherine Palace with Amber room, parks and palaces. St.Petersburg is 368 km from Tallinn and one way bus trip takes ca 5 hours. The tour starts on October 7th 2019 in Tallinn and ends on October 10th in St.Petersburg. Need more information? Read here! First established in the early medieval era, today’s Tallinn is an exciting mix of old and new. Tallinn Old Town is one of the best preserved Hanseatic town centers in the world. A stone’s throw away you’ll find the city’s business center with modern towers and luxurious hotels, trendy neighborhoods and large shopping centers. This walking tour is a great way for first-time visitors to get to know Tallinn. 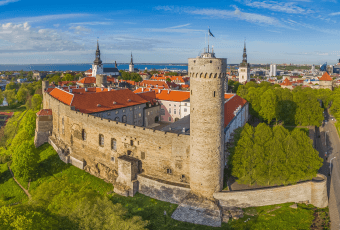 The walking tour takes you through the UNESCO World Heritage Site Tallinn Old Town, with entries to the Aleksander Nevskij Cathedral and the Dome Chrich (if possible). The tour ends at the Town Hall Square. A five-hour coach tour to Lahemaa presents you with the beauty of the landscape typical to Northern Estonia: coastal lowlands, pine forests and boulder fields. In Lahemaa, there are several well restored manors of 18th-19th century, really great example of their kinds in Estonia. First stop is at Viru bog where you can hike on a 3,5 km trail. 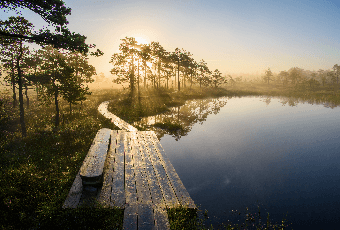 The trail introduces you to the vegetation and terrain characteristic of a raised bog in Estonia. The bog’s boardwalk winds its way through the landscape and pauses with a viewing tower that provides a scenic overview of the bog terrain. The beautiful Sagadi manor complex is often called the most manorial manor in Estonia. The manor has harmonious buildings with white arcades surrounding a large central square, a gorgeous 18th century manor house and a pond that symbolizes the eternal love of a lord of the manor. This quiet little neighborhood just outside the Old Town is eye-catching for its colorful wooden buildings. Throughout most of Tallinn’s history Kalamaja served as the town’s main fishing harbour. 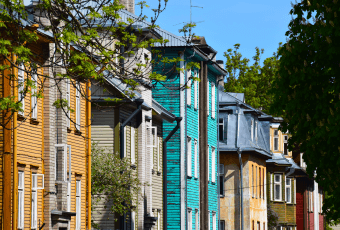 Explore the absolutely different side of Tallinn: sniff the bohemian atmosphere of Telliskivi Creative City, admire the wooden „Tallinn Houses” and discover hidden street food cafes. Recently the area has taken on a bohemian atmosphere, becoming the residence of choice for young, creative types. It’s the part of town where you will get the best feel of the locals’ life-style. 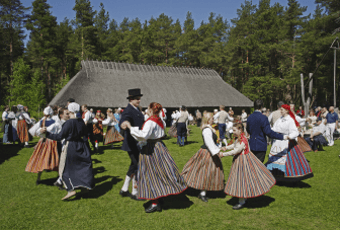 Just a short drive from the center of Tallinn, you will find a wonderful place – the Estonian Open Air Museum, showcasing the country’s rural architecture and way of life. The 14 farms in the museum provide an overview of how families from different strata of society lived in the 18–20th centuries. As you might expect to find in any proper village, there is a church, an inn, a school house, mills, a fire station, a shop, and fishing sheds by the sea. At the museum, you can buy handicrafts, and try traditional Estonian dishes at the inn. Enrich your knowledge of Estonia’s rich artistic heritage on an art tour of Tallinn. 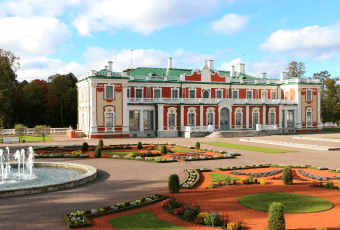 Accompanied by a knowledgeable guide, you’ll immerse yourself in the verdant splendor of both Kadriorg Park and Palace, home to an impressive collection of art. Admire arrays of international art and gain fascinating insight into the historical and cultural context of significant works. Appreciate the contrasting architectural styles of each museum. You will have the UNIQUE opportunity to get a glance at the Estonian FASHION WORLD! Either You want to see HIGH-END designer clothes or more ALTERNATIVE young designer outfits, You can find everything located comfortably in the central part of Tallinn. 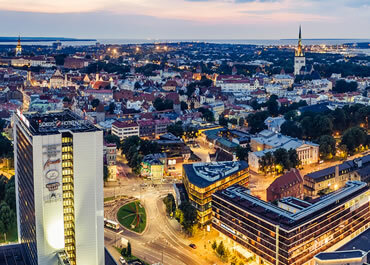 During this tour we offer you the opportunity to have private meeting with the local designers, visit different showrooms, boutiques, studios and bigger fashion centres in Tallinn.